Disposable coffee cups are a nightmare for the environment: Most end up in landfill sites, and putting them in the paper recycling bin makes matters worse because they can't be easily processed. 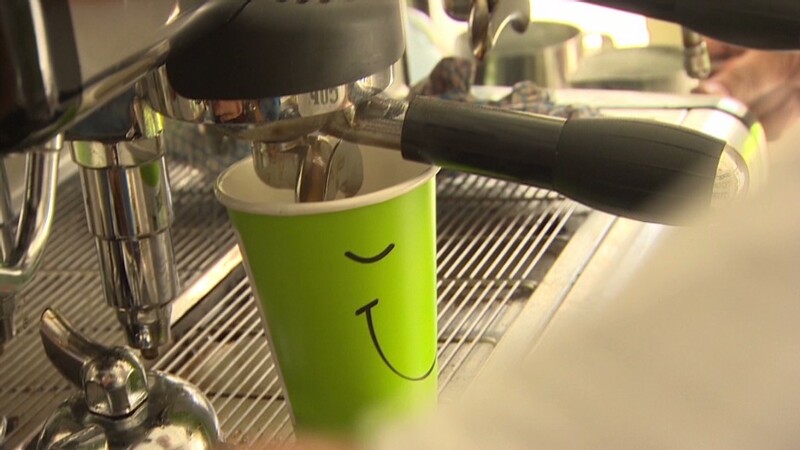 To tackle the problem, a group of British lawmakers is calling for a new £0.25 ($0.34) tax on disposable coffee cups. 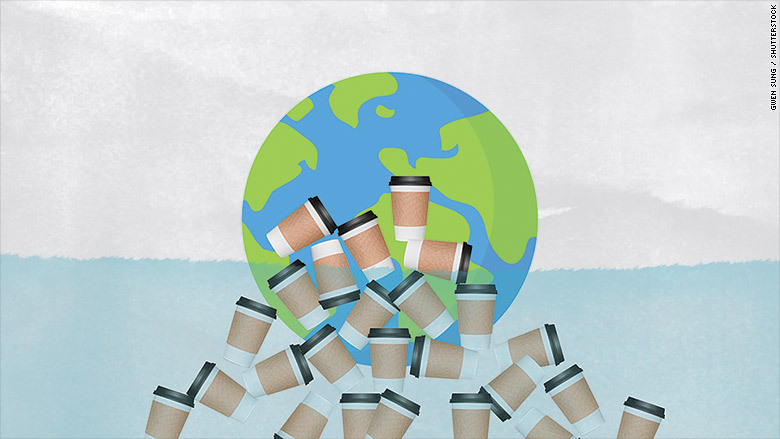 They hope a "latte levy" would force consumers to use recyclable cups and reduce waste. "Most people mistakenly think that disposable cups are widely recycled," the British lawmakers said in a report published on Friday. "This consumer confusion shows that retailers have failed to be clear with consumers about coffee cups." The U.K. government said it would consider the lawmakers' recommendations. In response, Starbucks (SBUX) said it already offers a 25 pence discount to drinkers who use a recyclable cup -- currently just 1.8% of its customers in the U.K. The lawmakers want the government to set a target that all single use coffee cups should be recycled by 2023. If that can't be achieved, they want the government to ban disposable coffee cups completely.